If you have any questions about the LAS BRISAS DELTA information page below please contact us. The good sized superyacht LAS BRISAS DELTA is a motor yacht. This 33 metre (109 foot) luxury yacht was made at Cnl (Cantieri Navali Lavagna Amy / Admiral Mariotti Yachts) in 1971. LAS BRISAS DELTA used to be named John-John; Mau Mau Terzo; Aquilotto; Off The Wall; John-John Delta. Superyacht LAS BRISAS DELTA is a beautiful yacht that can accommodate up to 8 passengers on board and has around 5 professional crew. This gracious motor yacht has been brought about with the naval architecture of Cnl. The yacht's wider design collaboration came from Cnl. The technical naval architecture plans are a creation of Cnl. In 1971 she was formally launched with celebration in Lavagna and following sea trials and detailing was thereafter handed over to the owner who commissioned her. Cnl (Cantieri Navali Lavagna Amy / Admiral Mariotti Yachts) completed their new build motor yacht in Italy. Her hull was constructed with wooden. The motor yacht superstructure component is fabricated extensively with marine ply. The total length of the luxury yacht on deck is 31.4 (103 ft). With a beam of 9.08 metres or 29.8 ft LAS BRISAS DELTA has fairly large interior. She has a reasonably shallow draught of 2.44m (8ft). She had refit maintenance and modification completed in 1999. LAS BRISAS DELTA is installed with two capable CRM main engine(s) and can touch a thrilling maximum continuous speed of around 33 knots. The engine of the yacht gives 1250 horse power (or 932 kilowatts). Her total HP is 2500 HP and her total Kilowatts are 1864. LAS BRISAS DELTA is propelled by twin screw propellers. 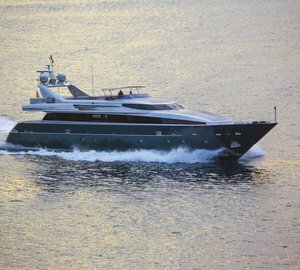 The good sized luxury yacht motor yacht LAS BRISAS DELTA can accommodate up to 8 people and has 5 qualified crew. 33.22 metres / 109 feet. The main engines are two 1250 Horse Power or 932 kW Crm. 33 nautical miles per hour. LAS BRISAS DELTA features a teak deck. 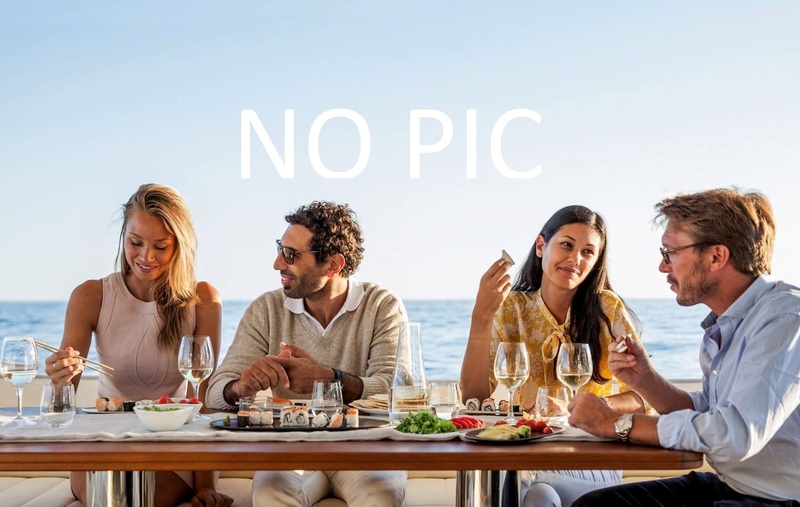 The luxury yacht LAS BRISAS DELTA displayed on this page is merely informational and she is not necessarily available for yacht charter or for sale, nor is she represented or marketed in anyway by CharterWorld. This web page and the superyacht information contained herein is not contractual. All yacht specifications and informations are displayed in good faith but CharterWorld does not warrant or assume any legal liability or responsibility for the current accuracy, completeness, validity, or usefulness of any superyacht information and/or images displayed. All boat information is subject to change without prior notice and may not be current.